My name is Robert McEntee and I am an educational entertainer. I offer customized presentations designed to amaze, amuse and inspire students and teachers. This unique entertainment has thrilled audiences in the eastern United States and Canada for over 20 years. I began studying the art of magic as a child but let people convince me that my dream was impossible. So I graduated from Villanova University and worked as a licensed Professional Engineer while performing on the side. Finally I realized “impossible” is spelled “I’m possible” and left that successful career in 2006 to pursue this calling of performance, education and volunteerism. To do this, I present educationally significant and highly entertaining assembly programs in public and private schools for students of all levels. I use magic as a vehicle to encourage reading, character education and accelerated learning. Additionally my more traditional magic & variety shows are regularly seen at Corporate events, Resorts, Church & Temple programs such as Vacation Bible Schools, Public Lbraries, Summer Camps, Parks & Recreation Depts. and various other Children’s and Family events. I look forward to putting my background to work to help you achieve your dream of an outstanding event or program! Please visit my Corporate Entertainment site. 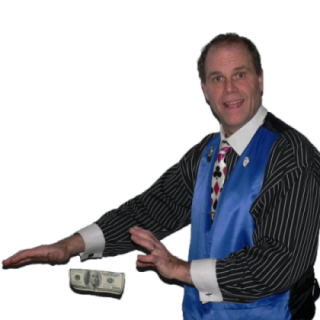 Based in Long Island New York (traveling to other areas), I am a former professional Civil Engineer turned full time speaker, educational entertainer, mentalist & magician, in 2006.